5 great Dine-Out Destinations in Whitefield. Famous for its North American cuisine, Chilli’s grill and Bar has a wide variety of dishes to offer. Known for its Mexican style food, they also serve beer and a host of exquisite cocktails and their signature cocktail being Presidente Margarita, which am sure goes well with a lot of the food items on the menu. They are open from 11AM to 11PM and have happy hours from 4PM to 6PM as well. With a Mexican style ambience and an average cost of Rs.1700 for two, Chilli’s Grill and Bar seems to be reasonable when it comes to pricing. Popular for its Mughlai ambience and foo, Ji Hazoor is affordable and has a great ambience. A great place to go hang out with friends, it has a list of mouthwatering dishes on its menu and besides Mughlai food, North Indian and Afghani cuisine are offered here as well. They offer lunch and dinner buffets at Rs.399 plus taxes and Rs.499 plus taxes respectively, which seems quite reasonable for the whole setup they offer that includes home delivery too. They are open for lunch between 12 noon to 3:30 PM and for dinner between 7 PM and 11 PM. Although famous for its non-vegetarian dishes, Barbeque nation offers a few vegetarian items as well. Located in the Ascendas Park Square mall, it is a good choice to take a break from shopping and grabbing a bite. The various cuisines they offer includes north Indian, European and Mediterranean and are known for their variety of seafood and meat barbeques. Their buffet prices starts from Rs.625 for a veggie lunch all the way to Rs.1068 for a Non-veggie dinner. Open between 12 noon and 3 PM for lunch and between 6:30 PM and 11 PM for dinner reservations, alcohol is served here as well. The fat chef offers a wide range of cuisines that includes North Indian, American, Italian and Asian. This place is popular for its continental food and its menu consists of an assortment of various delicacies from around the world. They provide home delivery and dine in services as well, however, the dine in near varthur main road at whitefield has a small bar menu with a few selected cocktails made available for customers. They are open between 11 AM to 3:30 PM for lunch and between 6 PM and 11 PM for dinner and the garden area makes the dining here a wholesome experience and perfect for couples for having a romantic dinner. The highlight of Windmills craftworks is undoubtedly the one of a kind jazz theatre and the wonderful ambience. It is also a micro-brewery with a cocktail bar that serves a wide range of different beers that makes it a great place to chill with friends on the weekends. Both American and north Indian cuisines are served here with burgers, fish & chips and kebabs being favorites among food enthusiasts. The valet parking service makes it more convenient for customers. The live music acts makes it an ideal nightlife destination among others in the city. Happy hours here last for a good 7 hours from 12 noon to 7 PM, with all-day happy hours on Mondays. They are open from 12 noon to 11:30 PM and is wheelchair accessible. Ever since the good old days, Bangalore has been known for its beauty and fine weather. Over the past couple of decades, Bangalore has gone through major transformations in terms of the population to the city’s infrastructure and housing projects. Although, there has been an increase in the dimensions of the city, Bangalore has been able to maintain its charm. Initially setup as a colonial outpost, the city is now unrecognizable to anyone who has been here in the early 20th century. Amidst the chaos in today’s Bangalore, a few localities such as Sadashivnagar, Malleswaram and Basavangudi have been successful in maintaining the old world charm of the city. There has also been a widespread increase in the number of IT parks that has led to an increase in the number of Housing projects as well. Places like whitefield and electronic city has set new standards in growth of a city. Here are some of the well-known land marks in the city and how they have been transformed over the last century. 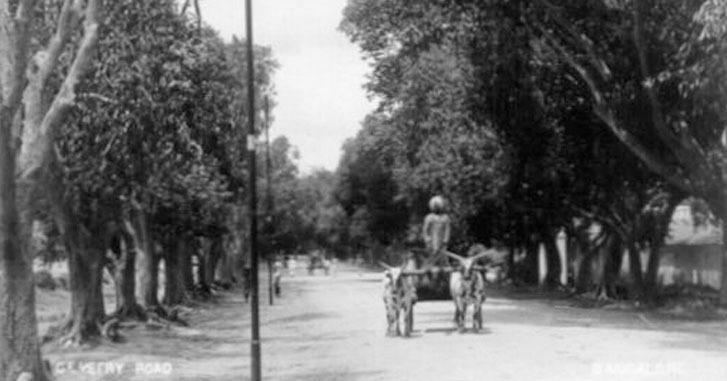 A view of Brigade Road, when you are coming down from South Parade (now MG Road) on the left hand side. 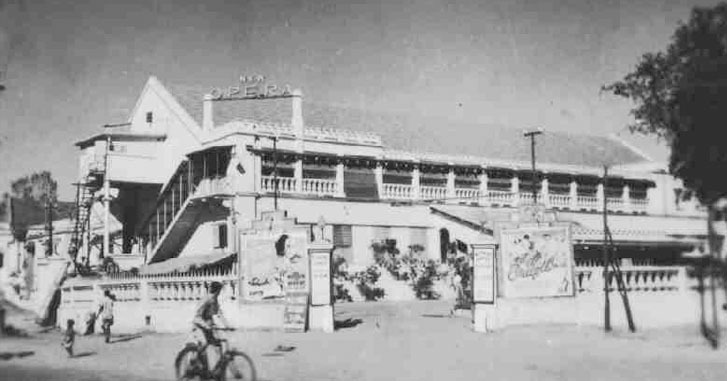 The left hand side building is still standing, and housed the Ashok Electricals, the Post Office, now it is the LEE and Luis Phillips showroom. The Post Office is no longer there and the building still supports the British Coat of Arms found on Government buildings. It is now one of the busiest roads in Bangalore. New Opera is still looking like the above photograph, except that it is not being used, and encroached by small shops that sell clothes and computer software and hardware, and even have Internet browsing facilities in the back nooks and corners. 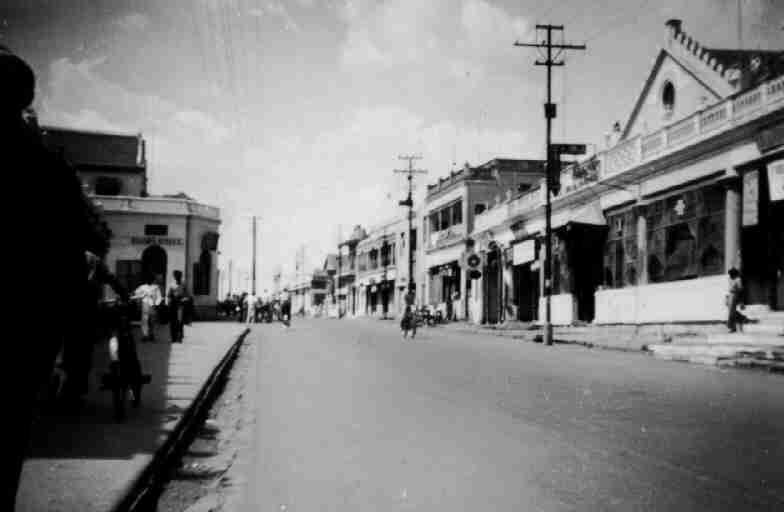 Located close to the center of the city, MG road, also known as South Parade in pre-independence era, is one of the busiest roads in the Bangalore. With an endless line of retail stores, office complexes and food outlets. What was once a calm roadway with trees on either side, MG road today has almost lost all of its greenery with the trees being replaced by buildings and parking lots. 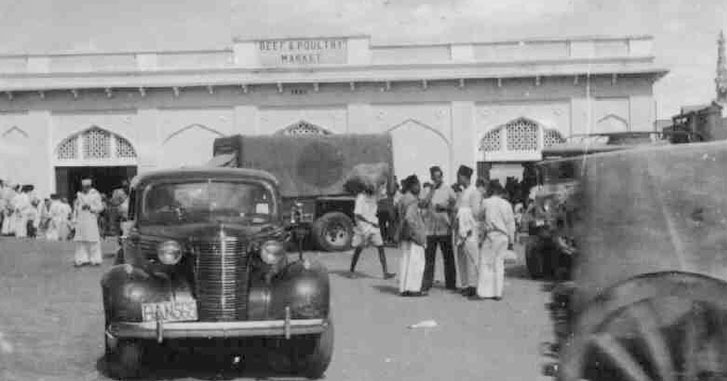 With only a hand few in the early 1900’s, Bangalore currently houses a staggering number of Malls and Market places. Everything from shopping to entertainment needs, city malls have taken over. 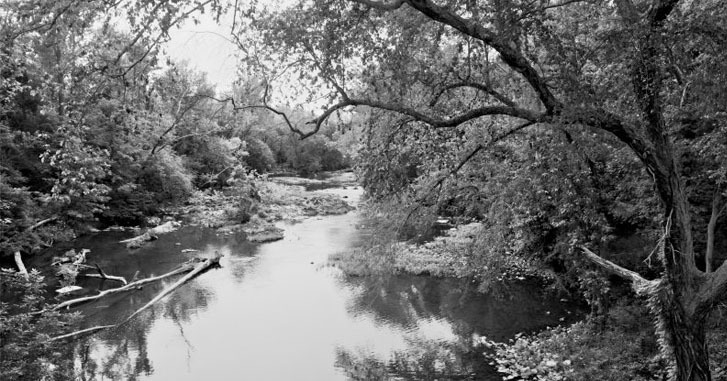 The Vrishabhavathi River in 1965 was a full-fledged flowing river and was used as a source of drinking water. It is now a heavily polluted water body completely contaminated. Bangalore, the most visited destination in South India is still a city to reckon with in terms of growth, infrastructure, education and quality of life.